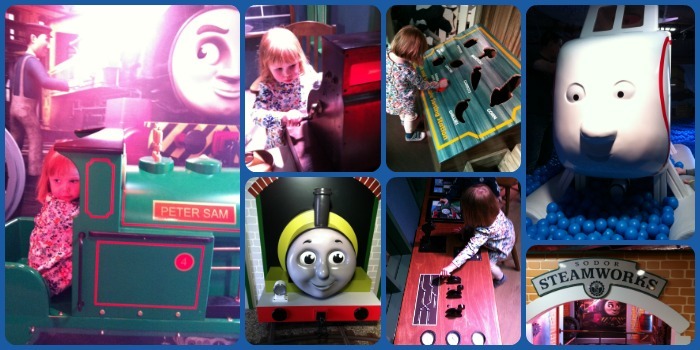 Last weekend Little Miss A had the chance to go to a play centre with 3 themed zones - Thomas The Tank Engine, Bob the Builder and Fireman Sam - what's not to like when you're 3 years old!?! 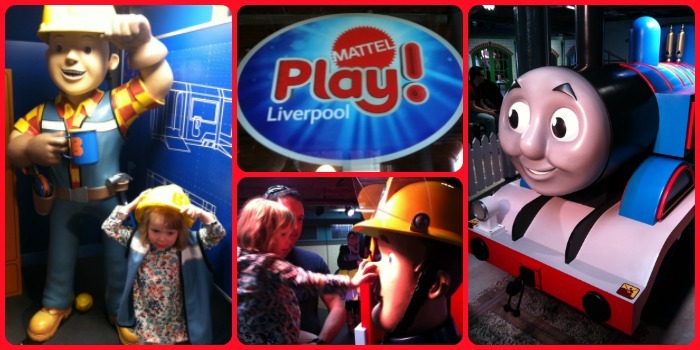 Whilst we were visiting Liverpool last weekend, we came across Mattel Play! which is situated in the Albert Dock. It seemed like the ideal place to take Little Miss A as she's really familiar with all the characters from these TV programmes. And it's safe to say, she really enjoyed it. The first zone you go into is Thomas & Friends. Immediately you encounter a large Thomas. Little Miss A spent a bit of time in the ticket office and the Fat Controllers office before spotting the ride-on hand-pedal trains. She really enjoyed these and got the hang of the pedals really quickly. I lost count of the number of times she went on them. Little Miss A had a go at sorting vegetables at Farmer McColl’s farm before we found the other really popular part of this zone which was the large ball pit with a big Harold The Helicopter to climb into. The ball pit was a big hit with all the kids. We then moved on to the Bob The Builder zone. I was quite surprised that Little Miss A wanted to wear the high vis jacket and helmet whilst we were here. I thought she would be more interested in sitting in Scoop but she liked the sand diggers the most. There was a really great drawing area and mega bloks building section, but Little Miss A just spent a few minutes in these parts before moving on. We went back into the Thomas zone for another go on the pedal engines before heading downstairs to the third zone - Fireman Sam. There were lots of vehicles to sit on and explore - Jupiter (the fire engine), Titan (the boat) and Juno (the jet ski). There were hooks for helmets as you enter this zone, but not sure why there weren't any available which is a bit of a shame. The highlights in this zone for Little Miss A were trying to put out the fire with the pretend water guns and also playing shopkeeper in Dilys' store. We headed back upstairs for another circuit up there before deciding to call it a day and head out. There was certainly a lot to do and play with. As it was the weekend, it was very busy but there was never more than a queue of 1 or 2 children before being able to ride or sit on the vehicles. This may be a lot more when the play centre is fully booked, but there are time-slots staggered at 20 minute intervals throughout the day, and there is a time limit of 2 hours (you're given coloured wristbands) so this hopefully isn't too much of a problem. It is best to pre-book your time-slot in advance. I struggled to take good photos inside as Little Miss A kept flitting between all the different things and also I was conscious of ensuring I didn't include other people's children in my shots! However, there really are lots of photo opportunities so don't forget to charge your phone/camera! There are several sets of stairs and lots of low ceilings, so you need to be aware of this. There's a place to leave pushchairs etc. downstairs. If you have a baby with you, then you'd ideally need them in a carrier. There's a shop and cafe on-site as well. The centre is a great option for a rainy day as it's all indoors! I'm really glad we were able to take Little Miss A to this play centre which has only recently opened. 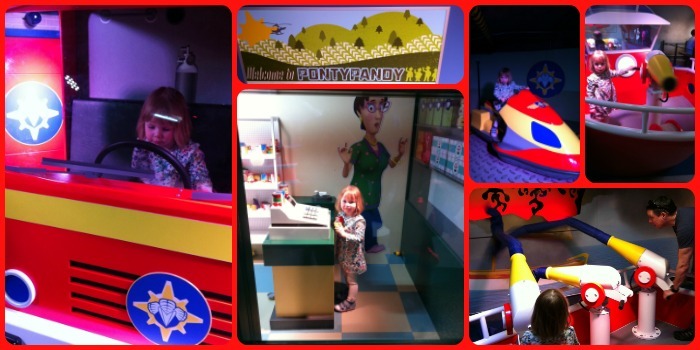 She had a go at pretty much all the different activities, and her favourite thing was definitely the ride-on engines. 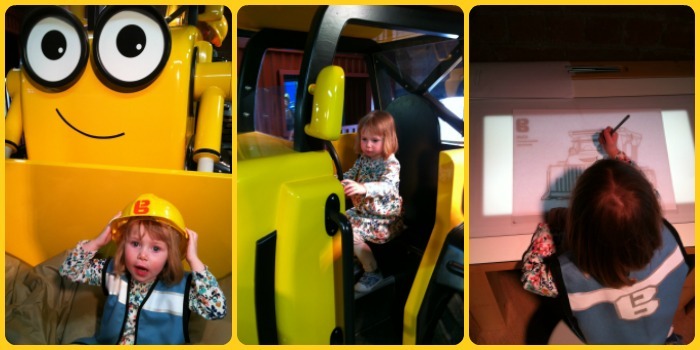 I think Little Miss A (at 3 years old) is a great age to be able to fully enjoy the centre and all that is on offer. I'd definitely recommend it if you're local or visiting Liverpool with a toddler. Disclaimer: We received free entry into Mattel Play! in return for this review but all opinions are my own.